Please join fellow Craftivists around the world in the lead up to London Fashion Week and and help create a patchwork of photographs of places where people have put up their #minifashionprotest banners somewhere in the world. The patchwork of photographs will be displayed at the Knitting and Stitching Show’s Upcycling Academy in London in October 2013 – but only if you help by taking part and sending in your photographs to us by 1st October. As part of our #minifashionprotest banner kits there is a piece of paper with questions on for Craftivists to reflect on whilst stitching. Our small, provocative Mini Protest Banners can help us reflect on this issue of sweatshops and what we can do as an individual (consumer, voter etc) to keep the spotlight on this ugly side of fashion we CAN change. How would you answer these questions? 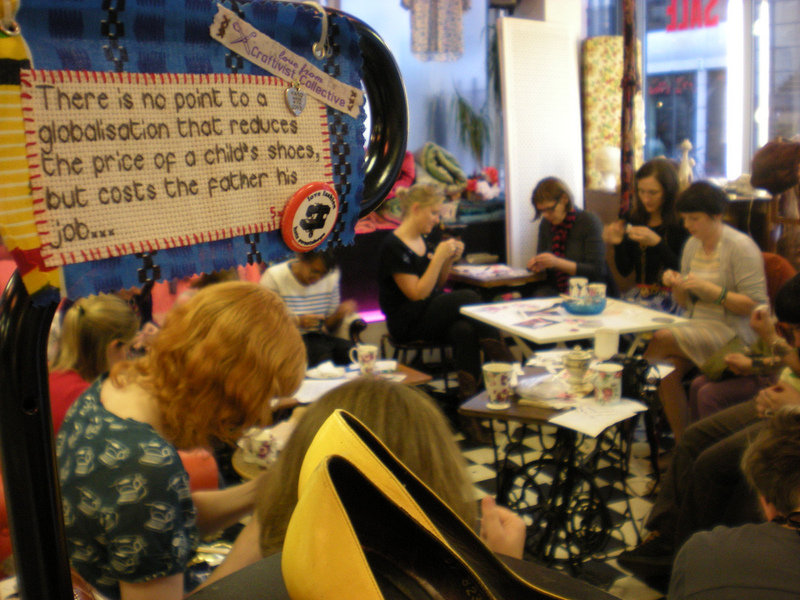 How can we best support the women who make clothes for the British High Street? What problems do sweatshop workers face? Why did working conditions improve in the UK, & why are sweatshop conditions now illegal? How can we use our unique power as UK citizens to change the conditions for women in other countries? How can I use creativity to send a message of solidarity to Bangladesh? How can I ensure that I am representing Bangladeshi women in an empowering and inspirational way in my craft? 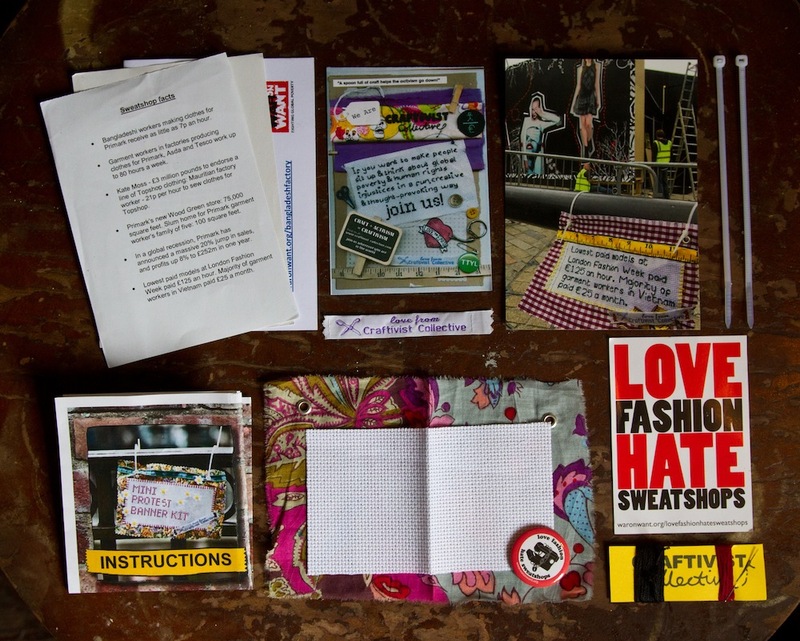 To join us in our #minifashionprotest 2013 please read more about it here & you can buy a kit here.